I called it the baby burn: that feeling inside you of wanting to have a child. I did not have it. For as long as I could remember, I never wanted to be pregnant. Maybe it was because I grew up the youngest so I wasn’t around babies much. Maybe because in high school I was diagnosed with a mild heart condition and a doctor made a small comment about possibly not being able to have kids, and I latched onto that as a sure thing. Maybe because I was worried that there would be two of me in this world when I could barely handle one of me. My husband, Jon, was OK with not having kids. We rolled happily through our twenties as dual income no kids DINKs. While our friends had kids, we were happy with an increasing number of cats and dogs to care for. It all changed in our early 30s. We had kicked around the idea of adopting one day. One thing I know for sure: there are no accidental adoptions. So nothing happened, except for I had cut an article out of a Parade magazine and it stuck to the office bulletin board. It hung there for years, with an increasing number of pin pricks as we moved it around. I could never throw it away. It was in the late 1990s when Jon told me his heart was calling for a child. He probably didn’t use those words at the time. I would have done whatever I could to give him that. I thought I could talk myself into it. I couldn’t. It wasn’t in my heart. As much as it was in the hearts of the women around me, it wasn’t in mine. I couldn’t put it there. Ashamed, I went to him and told him. He went away with that for a while, then told me what grounded us for many years. After that, the article on the bulletin board became a call to action. We dubbed 2002 “Year of the Child” and decided to start in earnest. We wanted to help a child close to home and couldn’t justify the expense to go overseas. We made the decision to adopt from foster care. Adoption conception: when you make “that call” to the agency, the one where you start the process. We enrolled in training classes to be licensed foster parents then adoptive parents. The more we traveled down the adoption road, the better it felt. I realized that it was not parenting that I was opposed to, it was bringing a child into the world. My rescuer heart couldn’t justify it when there were children who needed homes. I am not sure I would make the decision today. I know so much more about family reunification, the long-term pain of adoption and how much better outcomes for kids are when they remain with parents, relatives or kin. I also know that there are kids who need forever families, whose path to family doesn’t include relatives or kin. Most are older or have sibling groups. I serve on the board of the Foster and Adoptive Care Coalition. I understand how there are many children and teens who need the love and long-term stability of a family. I tell people who want to adopt, it is about the kids, not you. Think carefully about adopting a child of color and do the research to understand if you are in a place to support that child. Understand that most kids who need homes are older or siblings. My husband and I adopted our oldest child, Jasmine, in 2003. Turns out the black boy we were raising was a transgender girl. She came out this summer at 19. As we shared that story, so many people have said to me, “Well, she couldn’t have found a better family.” I used to wave that off, “Oh no, no, I am just being a parent.” What I have come to understand is that maybe my husband and I are especially suited to raise her, and I am proud of that. We adopted three kids from foster care, and my sister and brother-in-law adopted two kids. They had rough starts and now have bright futures. I am glad to provide bright futures and usher my kids into them. I wish one day our society would give enough support to families that they wouldn’t have a rough start to begin with. Maryanne Dersch works with nonprofits to move from operating out of fear and scarcity to confidence and abundance, so they can attract like-minded donors and raise more money. 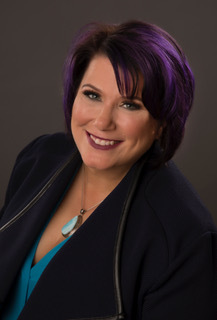 She is author of Courageous Communication: How Codependence Is Making Your Nonprofit Brand Boring and What To Do About It and founder of Courageous Change Workshops.